At least three people were killed Tuesday night when a Long Island Rail Road train crashed into a truck on the tracks near the Westbury station, then slammed into the platform and derailed, the police said. The train, which was traveling west toward New York City from Ronkonkoma, was approaching the station at about 7 p.m. when it struck the truck at the grade crossing at School Street, a spokesman for the railroad said. Service was suspended on the Ronkonkoma and Port Jefferson branches, said the spokesman, Chris McKniff. Three passengers in the truck were killed, Commissioner Patrick Ryder of the Nassau County Police told News 12 Long Island. He said the truck tried to beat the train at the crossing, which had its guard lowered. After striking the truck, Commissioner Ryder said, the train slammed into the platform and derailed. The crash was the second fatal incident on the railroad on Tuesday. At about 3:45 p.m., a westbound train struck and killed a pedestrian between the stations in Baldwin and Freeport, Mr. McKniff said. That accident caused long delays for commuters who were trying to get home from Pennsylvania Station in Manhattan. Mr. McKniff said service had been restored around 5:45 p.m., about an hour before the crash in Westbury. Pic of the train that crashed into the platform.. I thought I was going to hear about that person getting hit on the Babylon Branch, but this was something else because I used to ride the train through there daily. I'm baffled that the people there don't want to elevate the tracks. That is something else. Does the engineer sit on the side of the cab that hit the platform? Does the engineer sit on the side of the cab that hit the platform? You can win or you can lose...but you can never tie! I hope the MTA saves the truck and plasters it on billboards throughout the service area for Operation Lifesaver ads. It's also a testament to how well these trains are built as there were no serious injuries to anyone on board the train (7 minor injuries); all the deaths were in the truck. How heavy a truck did this train hit to end up derailing? I would imagine that it had to be at least a Class 4 truck, but I'd reckon a Class 7 or 8. The driver of a vehicle that caused a horrific Long Island Rail Road crash Tuesday evening, killing all three occupants of the car, had fled the scene of a minor car crash moments before attempting to go around a railroad gate in Westbury and colliding with two trains, an eyewitness told law enforcement at the scene, according to Nassau County police. Nassau Police Commissioner Patrick Ryder provided critical new information on the moments before the fatal collision during a news conference Wednesday at Nassau University Medical Center, where seven patients from the train were treated. The vehicle involved in the collision, heading south on School Street around 7:20 p.m., was involved in a minor auto accident only "seconds" before fleeing the scene and crashing, first into an eastbound LIRR train and then a westbound train, according to a witness identified by Ryder as an occupant of the other vehicle involved in the two-car crash. "The witness said that individual was involved in an accident and then went around the gate,” Ryder said. The identification of the deceased driver and the vehicle's two other occupants is still pending as the crash destroyed the vehicle, leaving only parts of the engine intact, Ryder said. The vehicle was first struck first by eastbound LIRR train #1260, carrying about 800 passengers, which left Penn Station at 6:35 p.m., with a final destination in Hicksville. Only seconds after the first collision, the same vehicle was struck by westbound LIRR train #2065, carrying about 200 passengers, which left Ronkomoma at 6:36 p.m. heading for Penn Station. The vehicle was crushed, torn into pieces, and wedged between both trains, officials said. After the collision, the westbound train derailed and traveled about 800 feet before crashing into the concrete platform at the Westbury station, sending chunks of concrete flying into the air. "We cannot repeat this enough. Please do not try to beat the train," Nassau County Executive Laura Curran said. "There is nothing so important. And I think we saw that with a very stark clarity last night." 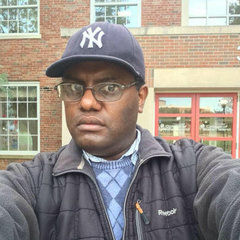 The unidentified engineer of the westbound train was praised for his heroics Wednesday. With concrete and metal rebar spiraling into the front of the train, the engineer raced toward the back of the cab, protecting a passenger, Ryder said. If the engineer had not fled toward the rear, he would have been killed, Ryder said. “The engineer did a great job," Ryder said. "Obviously he saw the impact when he hit the platform. He ran toward the rear away from it, almost like a movie scene coming through the front. And there was also a civilian that he pushed out of the way." Nassau police later rescued both the engineer and the other passenger, who were trapped in the derailed train, Ryder said. A total of seven passengers on the westbound train were taken to NUMC with ailments that were not life-threatening, including internal bleeding and spinal injuries, said Dr. Kelley Sookraj, a trauma surgeon. Three patients were admitted. "They did sustain significant injuries," Sookraj said. "But thankfully they are all doing well and are currently stable." Another train passenger suffered a seizure, with the rest sustaining minor injuries, said Dr. Anthony Boutin, NUMC's chief medical officer. In addition, a 15-year-old girl was taken to Winthrop Hospital. All of the passengers, officials said, are expected to survive. Metropolitan Transportation Authority Police will serve as the lead investigatory agency for the crash, said spokesman Aaron Donovan. The victims' identities will be released upon notification of their next of kin, which is MTA Police policy, an MTA official said. National Transportation Safety Board spokesman Terry Williams said the agency was aware of the crash but was not planning to investigate. "It is impossible to investigate every highway crash or railroad accident," Williams said. LIRR president Phillip Eng, at the scene Tuesday night, said 200 feet of track will need to be replaced. Eng confirmed the crossing gates were down and "the lights were flashing” at the time of the crash. The mangled westbound LIRR train remained on the scene Wednesday, wedged up against the northern platform and blocking one track while commuters boarded trains from the south side of the busy Westbury station after limited westbound service was restored. An MTA spokesman said the agency was "working around the clock" to restore full service to the station including "re-railing the cars and making track and third rail repairs." The damage was extensive. The train's front car was filled with concrete from scraping against the platform. Its doors were crushed in, resting against chunks of concrete, rebar and a promotional sign reading “Love the Beach.” The train's dangling headlight appeared to have a twisted piece of metal from the vehicle trapped below. On Wednesday afternoon, LIRR workers were bracing the train car with heavy construction equipment while they removed damaged sections of the north side platform. MTA crews used a crane to lift the tilted front rail car back onto the tracks. Crews in hazmat suits were combing through debris on the tracks around 2:30 p.m.
"We have to repair the tracks and the power and all the other infrastructure that is there," said Hector Garcia, LIRR senior director of external affairs, who declined to provide a cost estimate for the repairs. At the crash scene during the Wednesday morning rush, weary commuters wove past yellow police tape dangling from the platform entrance and were warned that the Huntington and Port Jefferson lines were running about an hour late. Dorrie Kerzner, 59, of Hicksville, was supposed to catch the 7:26 a.m. train to Penn Station but instead opted to drive. She called the delays “very unfortunate” but asked everyone to remember the larger picture. "We are all inconvenienced but real people lost their lives," Kerzner said. "I feel bad about that and the families involved." People got onto Penn Station-bound trains at the station through the morning on the normally busy Main Line. Members of the regional American Red Cross handed out water bottles, coffee and bananas to MTA, MTA Police and LIRR personnel. The LIRR advised riders to expect more cancellations, crowding and “heavy delays” through the evening rush. Garcia said the railroad had canceled about a dozen trains for the Wednesday evening rush, but were adding additional trains going to Babylon. 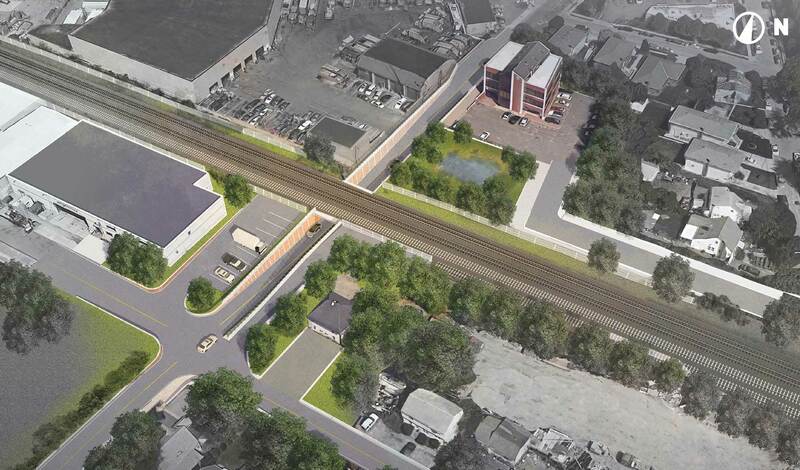 Westbury Mayor Peter Cavallaro said the location is by a grade crossing that will be eliminated by the railroad's third-track project, which could be one of the largest public works project on Long Island in decades. 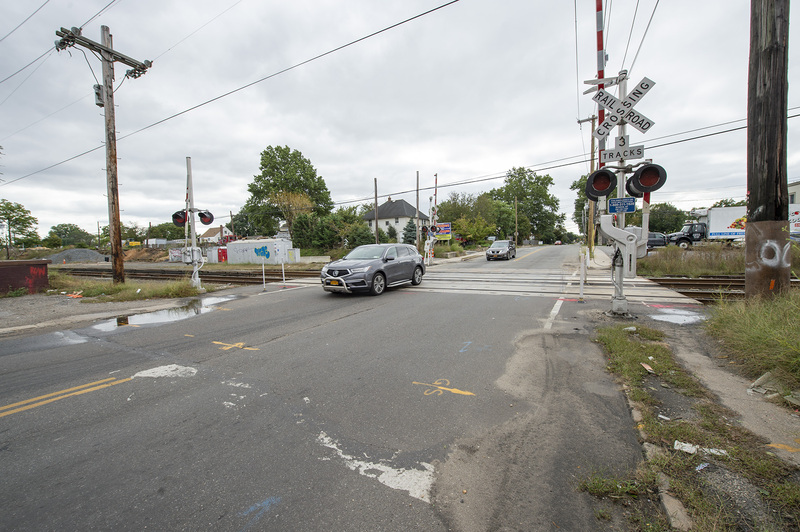 There have been six fatal crashes at grade crossing on the LIRR Main Line corridor between 2007 to 2017. 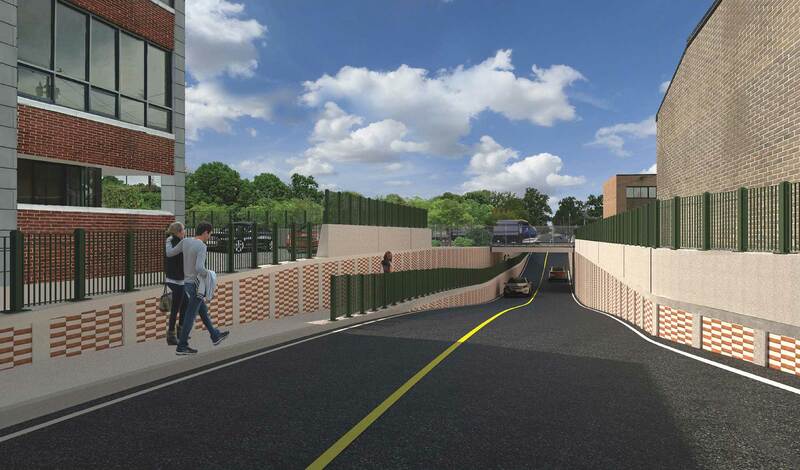 Construction of a $2.6 billion third track began in September for a 10-mile corridor between Floral Park and Hicksville. I hope the MTA saves the truck and plasters it on billboards throughout the service area for Operation Lifesaver ads. According to news sources the truck was all but obliterated. LIRR spokesperson said they basically had only the engine left. Again – this is why you don't try and beat the train! Scary thing is, many automobiles are only designed to be tested with consumer level vehicles hitting them at the side. When you break the law, there is a huge train coming at you. Side airbags will not stop that! And as much as a new crossing may prevent these types of problems, people honestly need to slow down a little more. Wow, it sounds like the engineer saw the impact was inevitable and ran out of the cab to get the passengers out of the way right before impact. Very impressive. In a situation like this, an engineer would just enough time to remove himself from any the cab before impact of the vehicles. Once he (or she) sees there's going to be impact, they are going to "dump" the train (apply the emergency brakes and bail out of the cab. If there's an event that would require these measures, it would be less than a minute before impact. Because of this, I doubt the engineer even knew of any potential impact with the station platform. While he or she may have yelled get back in passing, this would have happened while dumping a load into his pants. It would be my guess, the "civilian that he pushed out of the way" was someone standing in way of the cab door that he knocked over to get out. There is no "back of the cab" that the police commissioner illustrates. The cab is deep enough for the seat and controls. Behind the cab are electrical lockers, then the passenger area. From the very front of the train to the first passenger seat is approximately six feet. LOL so much for his/her 15 minutes of fame. So I'm guessing the emergency brake can stay activated even if no one is holding it down (or like a deadman's switch where it brakes once you let go of the master controller? I'm not at all familiar with these systems so excuse my ignorance. Once the emergency brakes are applied, it's a wrap. There is no going back to service brakes. The emergency brake is the same as the dead man integrated with the MC. You place the train into "emergency", it dumps the air from the brake pipe and applies the brakes. The only way to recover is once the train is stopped and then recharge the system.